Where do Bioplastics fit in ? The emergence of bioplastics has had my own attention for some time. Because a predominant activity of our business is the recycling of petroleum based plastics and rubbers, I have wondered whether bioplastics might eventually eliminate the need that drives our business activities. I was appreciative of the latest effort of the World Wildlife Federation in bringing together 8 giants of industry – Ford, Nike, Procter & Gamble, Coca-Cola, Danone, Heinz, Unilever and Nestle – into an alliance known now as the Bioplastic Feedstock Alliance. I was already aware of the WWFs previous effort to protect the Cork Montado’s in Portugal. It was easier to see the “wildlife interests” in that effort as the Montado’s are home to several endangered species (including a human indigenous and sustainable lifestyle). 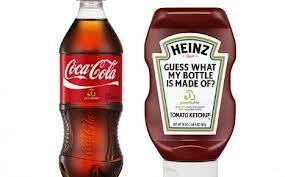 In fact, Coca-Cola notes that their PlantBottle program produced 18 billion PET bottles in 2009, partially made from – guess what ? – plants. 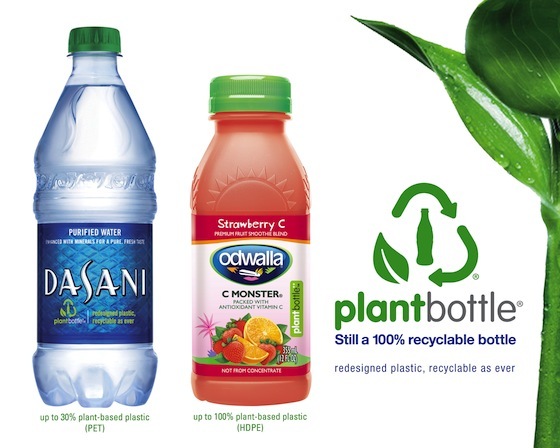 In case you’ve never noticed – many plastic bottles include a number code to facilitate recycling. These numbers (1 through 6) appear often inside the well-known chasing arrows triangular symbol. There is a movement in the plastics industry to drop that system but for now, we’ll leave that aside. Also in these chasing arrows symbol one often finds the number 7 – which is also sometimes identified as “other” and generally, avid recyclers know to put that into their landfill trash. Plastic ID # 7 includes those resins that do not fit into those other categories (1 through 6) and that includes most bioplastics. Studies on the subject of attempting to recycle PLA with mainstream PET have provided conflicting outcomes. Back in 2010, NAPCOR (The National Association for PET Container Resources), voiced its concern for potential contamination of the PET recycling stream associated with PLA bottles and the trade association for PET plastics also voiced its concerns that an increased cost of separation, increasing contamination and yield losses would all impact recycled PET (RPET) quality and the viability of its processing. 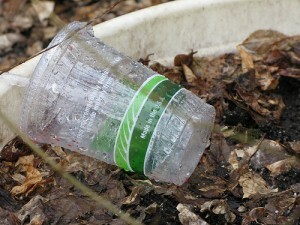 “Biodegradable” plastics cannot actually be composted in your backyard compost pile. Heat is always a factor in plastics manufacturing and because biodegradable plastics require a very high heat to degrade; these therefore need a commercial composting facility to accomplish that. The senior material scientist for Natureworks LLC, Richard C. Bopp, worries – “When the consumer hears ‘biodegradable,’ often times they think it’s a material that you can throw out the window of your car and after one good rain, it will be back to nature, and it will fertilize the roadside”. I get it – “Saying ‘biodegradable’ is not specific enough to be useful, and it leads to all kinds of misunderstandings”. It is one of those complex ideas that this blog enjoys exploring, even if there are no easy answers to it. The WWF is concerned about issues of food security, land use and resource competition. The World Wildlife Federation seeks to protect those ecosystems that are valuable and very unique in biodiversity. They are also aware that these are precisely the ecosystems where major commodities are sourced – petroleum, agricultural and forestry products significantly. Erin Simon, who manages business and industrial packaging and material science issues at the WWF, wants to put some sound science into the decision-making process and influence the key research efforts among those brand names that are asking questions about biopolymers as potential new solutions for the future direction of their business’ products. The trend emerging is for more transparency in the environmental and social performance not only of bioplastic materials but as built into the new Leed v4 standards that are slated to take effect in June 2015. LEED v4 seeks to challenge the marketplace to go further, make better, cleaner, healthier buildings for people to live and work in. 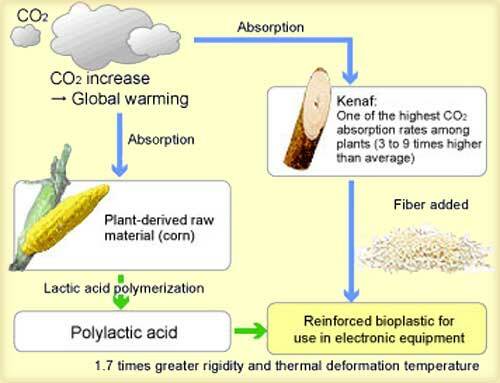 One final positive thought about biopolymers is their potential to address CO2 in our atmosphere – there are a lot of smart phones and computing devices in everyday modern life.